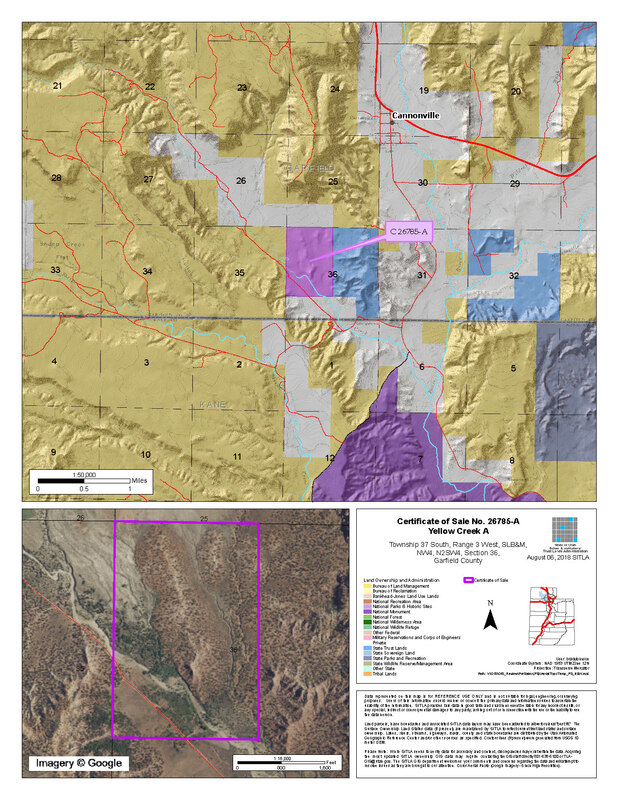 These properties are located approximately one mile south of the town of Cannonville in Garfield County. The parcels have access from two existing county roads. These parcels are just south of the community of Cannonville near the old town of Georgetown. They are accessed from a county gravel/dirt road which leaves the paved Georgetown/Yellow Creek county road. The Grand Staircase Escalante National Monument is on the West and North with beautiful views of the pink ledges of Bryce Canyon to the north. It is very scenic area with great outdoor recreational opportunities. There is a small perennial stream which crosses a portion of the property. These parcels offer seclusion and privacy in a very scenic part of the state. Water Right No. 89-941 will be conveyed to the purchaser of Parcel A. Financing will be offered for these parcels. A down payment of 10% and closing costs will be due at the auction. The remaining balance can be financed at a variable rate of prime plus 2.5% for up to a 20 year term. 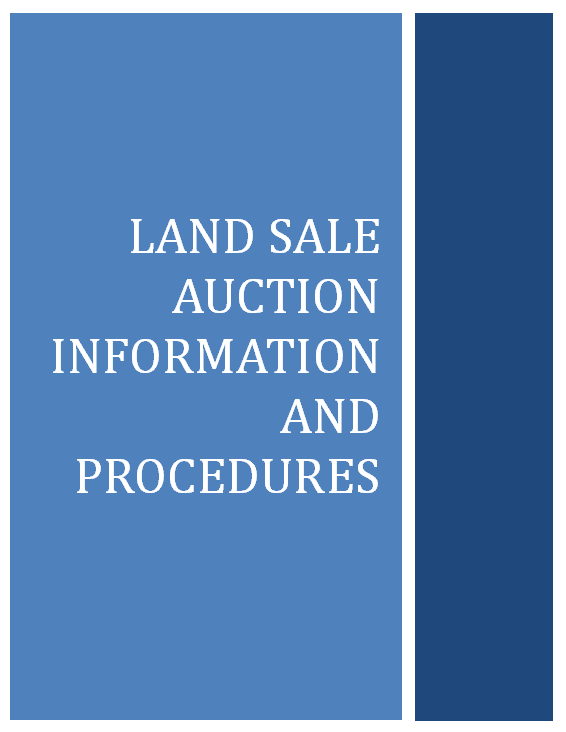 Please see the auction page for general disclosures and auction procedure information which pertains to all properties being offered at the auction. The properties will be conveyed subject to all valid existing rights. A cultural resource survey was conducted on the subject parcels. Parcel A will not have any cultural reservations. There will be a cultural reservation for Parcel B. 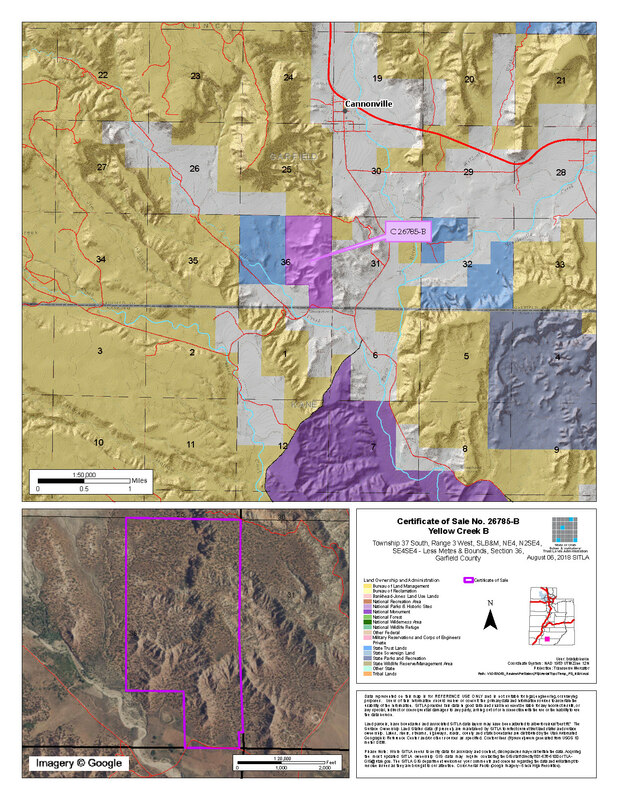 All minerals, including the sand and gravel are reserved to Trust Lands Administration. 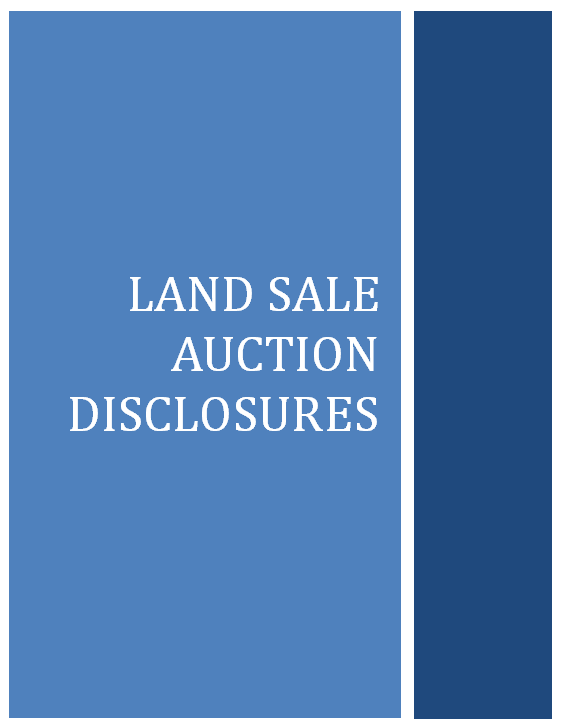 Other disclosures, if any, will be announced at the auction.